“I believe that optimum health is about balance: balancing one’s life and balancing one’s body. Denise Wiesner L.Ac., Dipl. Ac. earned her Bachelor of Science in Exercise Kinesiology from the University of California at Los Angeles (1985) and a Master’s Degree in Traditional Chinese Medicine from Emperor’s College, in Santa Monica, California (1994). While still a student of Chinese Medicine, Denise spent 3-1/2 months studying and treating patients in a hospital in Shanghai, China. She is board certified by the State of California and the national governing body to practice acupuncture, herbology and Chinese Medicine. Denise has been in practice since 1994 with an emphasis on women’s issues and pain control. She treats women’s conditions in various stages of life – from menstrual disorders, infertility, pregnancy to menopause. She has experience treating women going through the process of using Assisted Reproductive Technologies (ART) including assisting embryo transfers at many fertility clinics. She is board certified by American Board of Oriental Reproductive Medicine (ABORM). She has interned with Randine Lewis Ph.D, author of The Infertility Cure, and is a charter member of the Fertile Soul™ Clinic Excellence in Fertility program. She is also certified in the Hunyuan fertility Method. 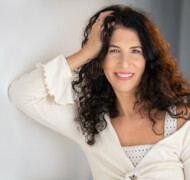 She is the author of the upcoming book, Conceiving With Love , a whole body approach to creating intimacy, reigniting passion and increasing fertility. She has taught professional seminars to MD Obstetrician-Gynecologists, and Nurse Midwives on the application of Chinese Medicine in obstetrics, gynecology. She is also faculty lecturer for the Doctorate Fertility Program at Yosan University. Denise has studied integrative oncology with Donnie Yance, author of “Herbs, Healing and Cancer.” She has presented lectures at the Cancer Support Community here in LA and in Paso Robles on Medicinal Smoothies. She supports cancer patients and their caregivers in all stages of treatment to offer complementary care that improves quality of life, lessens side effects of conventional care and improves all body systems. Denise brings a vast amount of medical training and experience to her practice with a background in Exercise Physiology. Prior to becoming a Chinese Medicine practitioner, Denise gained a myriad of experience at the Pritikin Longevity center where she lectured on nutrition, health risk factors for cardiovascular disease and the physiology of stress and its management. She also worked with the medical group conducting ECG treadmill stress tests. Denise has been involved with bio-feedback, sports medicine and cardiac rehabilitation. She worked as a private trainer coaching people with diet and exercise. While earning her Master’s degree, Denise worked for three years at an Acupuncture and Herbal Medicine Clinic as an Herbalist and Acupressure Massage Therapist. Denise has served as the Acupuncture Doctor at a pain management center at Brotman Hospital. She enjoys practicing yoga and playing guitar and is the mother of two boys, Noah and Ethan.